Having spent more than a decade doing fieldwork all over North America, you might think I would have learned by now how to see beauty anywhere – how to look past the surface of a place to the awe-inspiring intricate connections beneath. But last week’s guest post about the beauty of the tallgrass prairie got me thinking about my own experience in the prairies last fall. 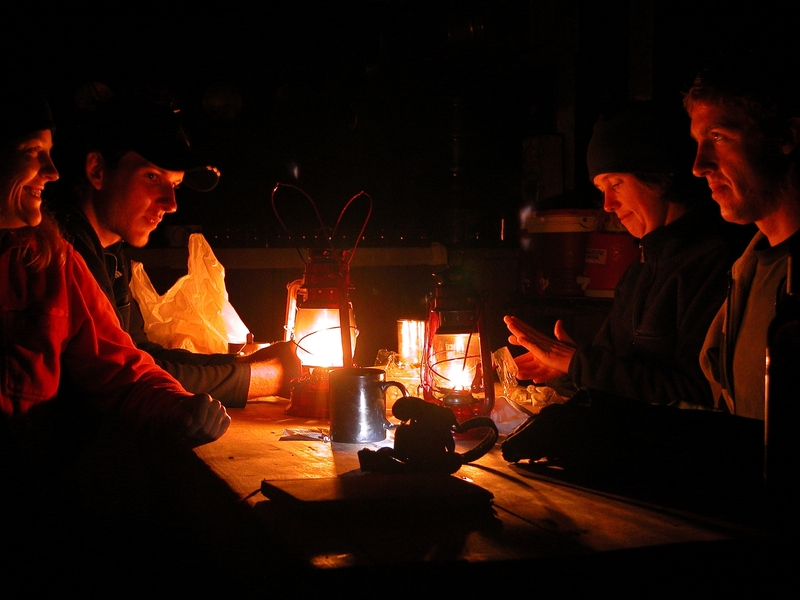 When we sat down to finalize our itinerary, we discovered that we disagreed fairly substantially. 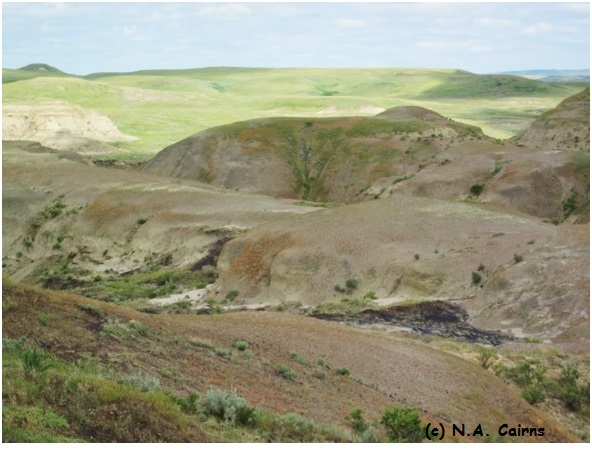 My father’s top priority was to visit Grasslands National Park, in southern Saskatchewan. But to be honest, I just wasn’t that excited by the thought of an endless flat plain. No, if I was going out west, my top priority was to see some mountains. I’ve been fascinated by mountains since my first trip to Alberta with my family, when I was only six. Even now, I find the dramatic landscape of the Rocky Mountains enthralling and iconic. Despite growing up in Ontario, when I think of the Canadian wilderness, I picture the snowy peaks, mysterious green valleys, and jewel-bright lakes of the Rockies. My dad was considerably less enchanted by the mountains than I was, but eventually agreed to add Waterton Lakes National Park to our schedule. Waterton Lakes, in southwestern Alberta, lies at the point where “the prairies of Alberta meet the peaks of the Rocky Mountains”. 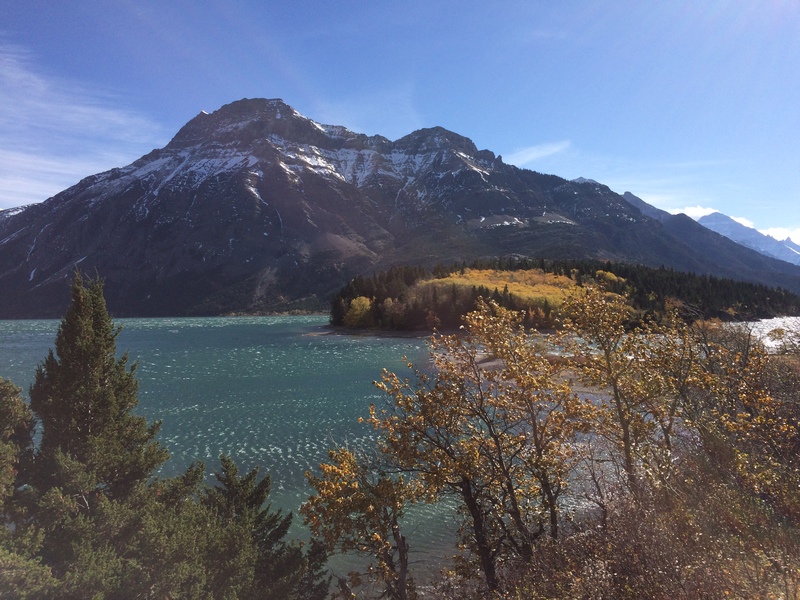 It’s hard to imagine a more beautiful place than Waterton Lakes National Park on a sunny fall day. If you look the park up on Google Images, the pictures that pop up are so perfectly gorgeous that they seem almost unreal. But as amazing as those pictures are, they don’t begin to the do park justice. We visited on a sunny, crisp fall day. The wind was so strong it almost felt like an assault, and the sheer majesty of the sun reflecting off the snow-covered peaks took my breath away. We spent three wonderful days in the shadow of the mountains before starting our long drive east to Grasslands. Not feeling all that inspired by the second part of our trip, I was reluctant to leave, and the seemingly endless drive across the flattest part of Canada didn’t increase my enthusiasm at all. Sunset over a sea of grass. Rumpled, tired, and cranky in the way that can only result from spending a day in the car, we arrived at our accommodation, right on the edge of the park, just as the sun was going down. As I stepped gratefully out into the fresh air and gazed over the sea of grass stretching from right in front of us all the way to the horizon, I felt the first faint stirrings of interest in this park. First thing the next morning, we set off to explore. My dad was single-minded in pursuit of his main goal: to see a buffalo. I had visions of us roaming for hours, searching fruitlessly. But within a few minutes of entering the park, we spotted one of the massive animals standing not far from the road, gazing haughtily into the distance. As my dad pulled out his camera, I noticed a flash of movement from the corner of my eye. I turned to investigate – and realized that on the other side of the road was a busy prairie dog colony. Hundreds of the chubby rodents bustled around their burrows, often coming within a few feet of me. Face to face with a curious prairie dog. It was slowly dawning on me that, although this park lacked the obvious, dramatic majesty of Waterton Lakes and the other mountain parks, it had a quiet splendour all its own. We’d been in the park only a few minutes, and already we’d had two up close and personal encounters with wildlife. That night, as I stared up at one of the most phenomenal night skies I’ve ever seen, I realized that Grasslands was something special. Perhaps the most amazing thing about the experience was that we had the park essentially to ourselves. During the three days we spent there, I don’t think we saw more than ten other visitors. When I got home, I looked up the stats. Between April 1st, 2016 and March 31st, 2017, Grasslands had just over 13,000 visitors. In comparison, Waterton Lakes recorded more than 500,000 visitors over the same time period, and Banff recorded more than 4 million. Apparently I am not the only person who prefers the mountains to the plains. I can’t deny that having an entire national park to ourselves was mind-blowing, and part of what made our time in Grasslands so special. There’s something about being the only car on the road – the only people within sight – that allows you to become truly immersed in the landscape. But I also can’t help but think the vast difference in visitor numbers between Grasslands and Waterton Lakes may be indicative of a larger problem. Many people – whether consciously or unconsciously – equate ‘nature’ with those grand, awe-inspiring mountain vistas that we are all so fond of. And I can’t deny that those vistas are amazing, certainly well worth a visit. However, a single-minded focus on majestic and dramatic landscapes can cause us to miss the more subtle beauty found in less obvious places – whether it be the muddy edges of a marsh, the vast grasslands of the North American plains, or even our own backyards. And so the main thing I learned from my trip was to put a bit more time and effort into making those ‘careful queries’ that David Quammen advocates. Less obvious landscapes may demand a bit more of us, but they have so much to teach. Looking out over the badlands at Grasslands National Park. 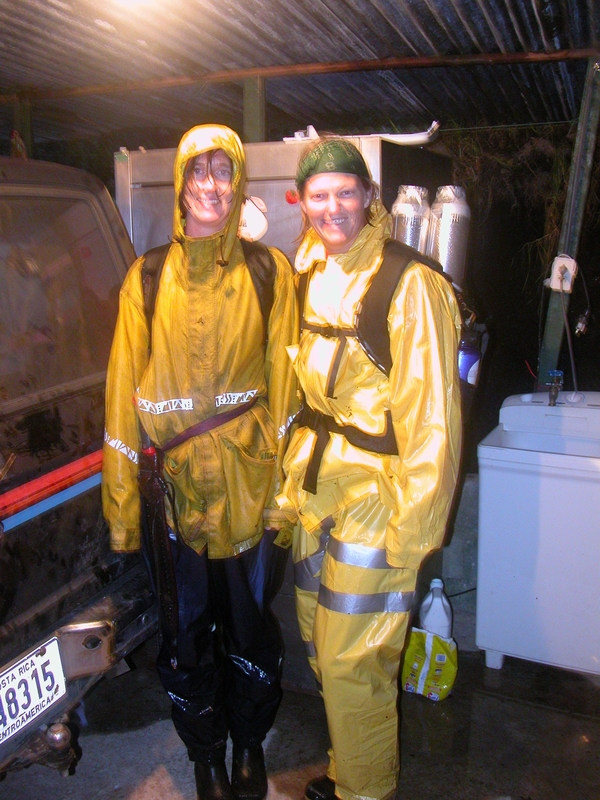 This week, Dispatches from the Field is pleased to welcome guest blogger Laura Hancock, a Master’s student at the University of Massachusetts Amherst, who tells us why she loves fieldwork. For more about Laura, see her bio at the end of the post. Field work can be great. Sometimes field work means being outside in the warm sun, or camping under the stars. I love field work. In fact, as a second year Master’s student, I feel like I’m not doing nearly enough field work. I don’t miss field work because I love being outside (which I do), but I miss pushing myself, discovering how much I can do, and what I’m made of. As cliché as this sounds, I felt like I discovered myself when I had my first field experience during my freshman year in college. A graduate TA of mine invited me out to help him and some other graduate students measuring tree growth in a created wetland. This was the opportunity I had wanted for a year and couldn’t wait to get out there! I even skipped studying for a quiz because I was so excited about the opportunity (as someone who at the time was a perfectionist and had a 4.0 GPA, this meant a lot). As soon as I was out in the field, knee deep in mud and dirt, I knew I was in the right place and had made the right choice of activities at the time and overall in my life. 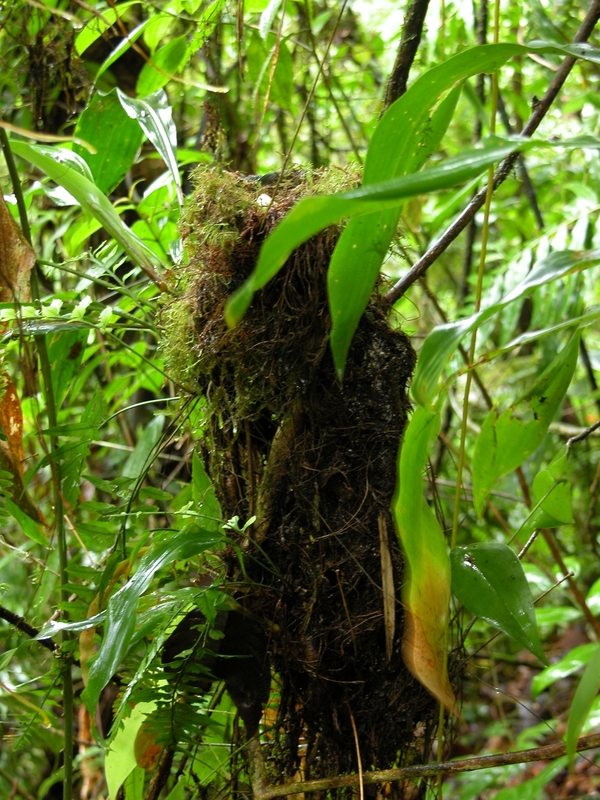 I loved the work, the fresh air, talking with people who loved ecology, and like me, loved being out there. But what I found was the most invigorating was how real and raw everything was. This might seem like a complete “duh” (you’re outside for gosh sakes, how much “realer” does it get than trees, dirt, sun, and bugs? ), but everything just clicked for me. I was able to let go of being a perfectionist or thinking about getting everything done. I felt like what I was doing made a tangible difference to someone and the environment. 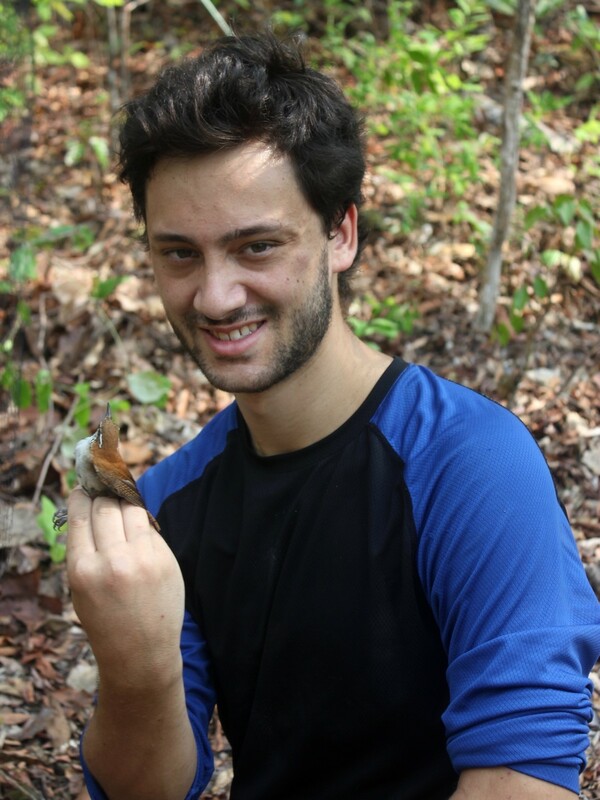 I continued to do various field work projects through my senior year in undergrad – and then I got the opportunity of a lifetime. 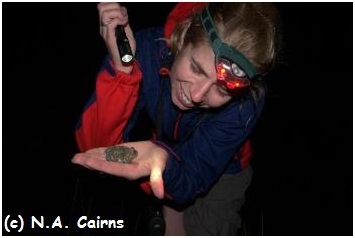 One of my favourite professors works with bats (possibly the most interesting group of animals on the planet). He offered me a position after I graduated where I would help monitor and track an endangered species of bat out in California, New Mexico, and Arizona. Of course I said yes, and patiently waited until I could finally graduate, not because I hated school (which I don’t), but because I wanted to be outside in one of the coolest places on Earth – Death Valley National Park. 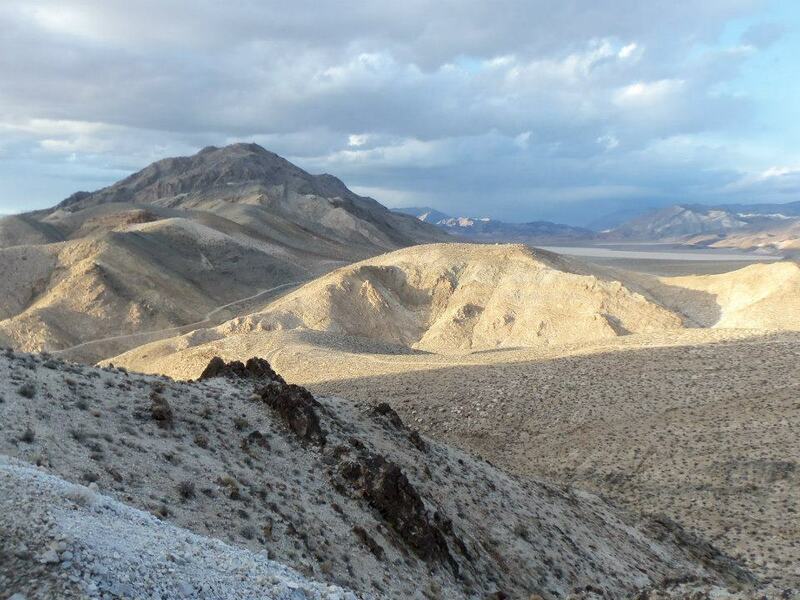 Not a bad office: the view from one of the monitoring sites in Death Valley National Park. In June of 2013, two graduate students, a Death Valley park ranger, and I were tasked with the job of going out to monitor a maternal roost site in an abandoned mine. (Bats really love roosting in abandoned mines, especially in areas where humans have destroyed natural caves.) The best part? The mine was a 7 mile hike each way, off any paths accessible to regular park goers. Even better? It was June IN DEATH VALLEY. Hellooo, heat stroke! Right now some of you might be thinking I’m being sarcastic, I’m 100% serious. I was SO excited for this. I grew up as not the healthiest kid. I was constantly tired and got sick a lot, on top of other issues. However, as I got older most of that stuff went away. As that happened, I realized how important it was to me to have a healthy body. I liked pushing my limits and seeing what I was capable of; when you put yourself in extreme conditions you have to be hyper aware of you, your body, your surroundings, and how you’re feeling. It’s like yoga, but for thrill seekers. Now back to Death Valley in June. I was really excited to push my limits and hike 14 miles in one of the hottest places on Earth, in the middle of the summer. 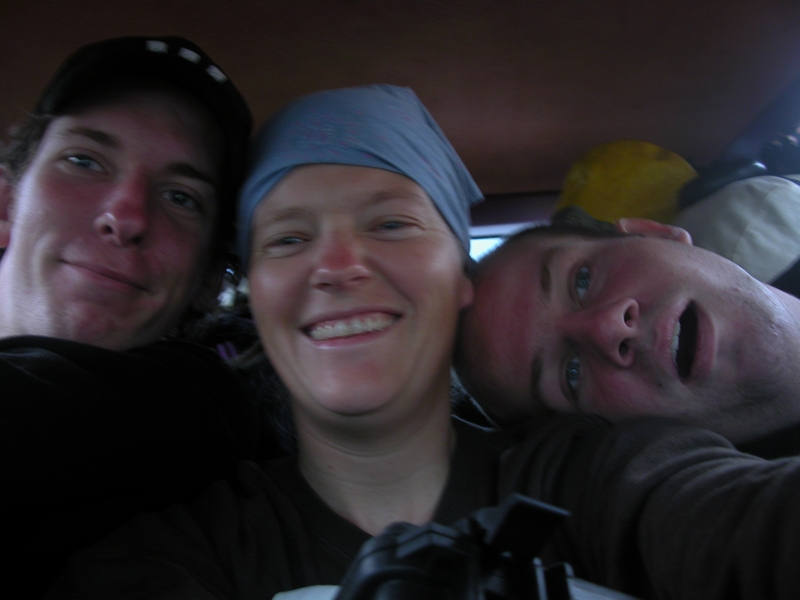 Turns out there was a “cold wave” the week the crew and I were there, so it was only 112 °F . Just kidding! That’s still PRETTY hot! The crew and I made the trek to the mine early on in the day, hiked to another mine a mile away over sand dunes and headed back. By the time all the work was done, it had been 10 hours and over 16 miles of hiking. I was by far the happiest and most energetic person on the field crew that night. We just hiked 16 miles in 112 °F heat – what couldn’t we do!? Now that I spend most of my day e-mailing and reading papers as a graduate student, I long for those days when I got to be out in the field. I love the feeling of accomplishment and mental growth, but air conditioning isn’t bad either. Laura graduated from Christopher Newport University with a B.Sc. in Biology in 2013. 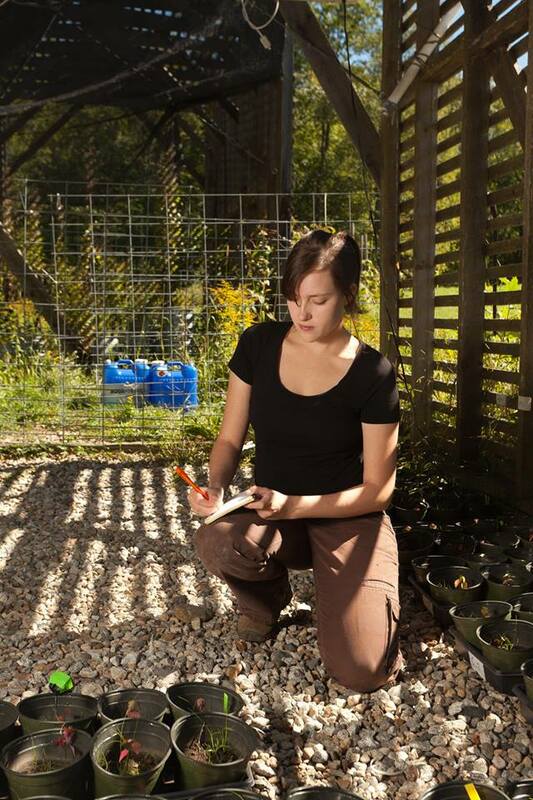 Now she is a second year Master’s student at the University of Massachusetts Amherst, researching metapopulation and source-sink dynamics of garlic mustard. 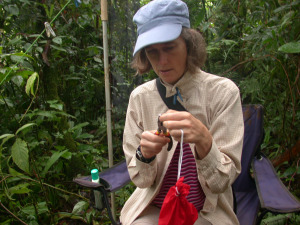 Her background is in plants and plant-insect ecology, but a few years ago, she took a nine month break from plant and insect work to study bats and has missed the work every day since! 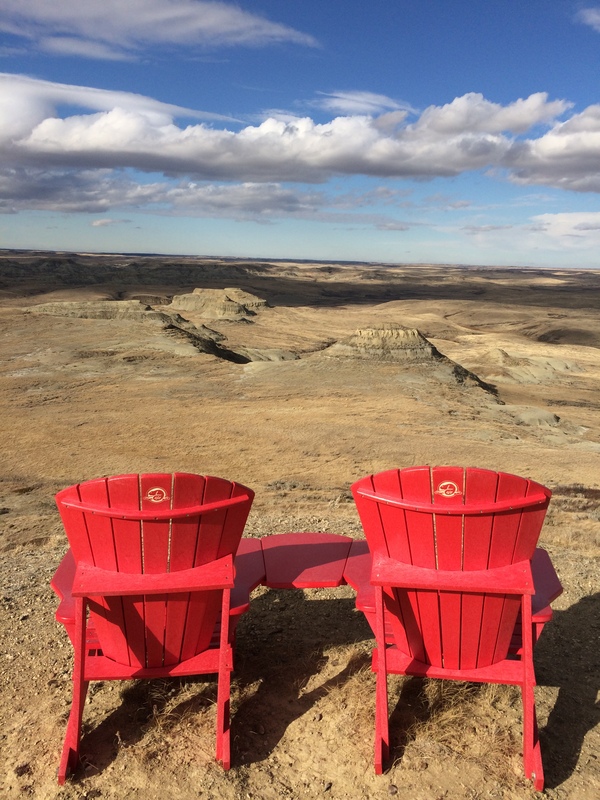 We are very excited to welcome this week’s guest blogger, Krista Cairns, to tell us about some of her adventures as a resource management officer in the Canadian prairies. 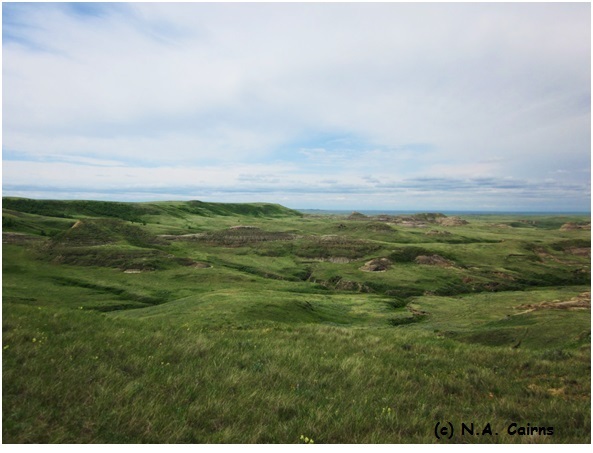 Welcome to Grasslands National Park in southwestern Saskatchewan, the northern edge of the mixed- grass prairie ecoregion! This is where I work as a resource management officer for Parks Canada. I am a part of a team that works to protect, preserve, and present this special ecoregion to Canadians, and my job is focused on monitoring, maintaining and recovering prairie ecosystem function. The mixed-grass prairie ecoregion is named after the short- and mid-height grasses that grow in mixed stands here, most notably in our region blue grama grass (Bouteloua gracilis), wheatgrasses (Agropyron spp.) and spear grasses (Stipa spp.) This beautiful broad plain, interrupted by deep valleys and hilly uplands, stretches all the way from the Canadian prairies to the Gulf of Mexico. 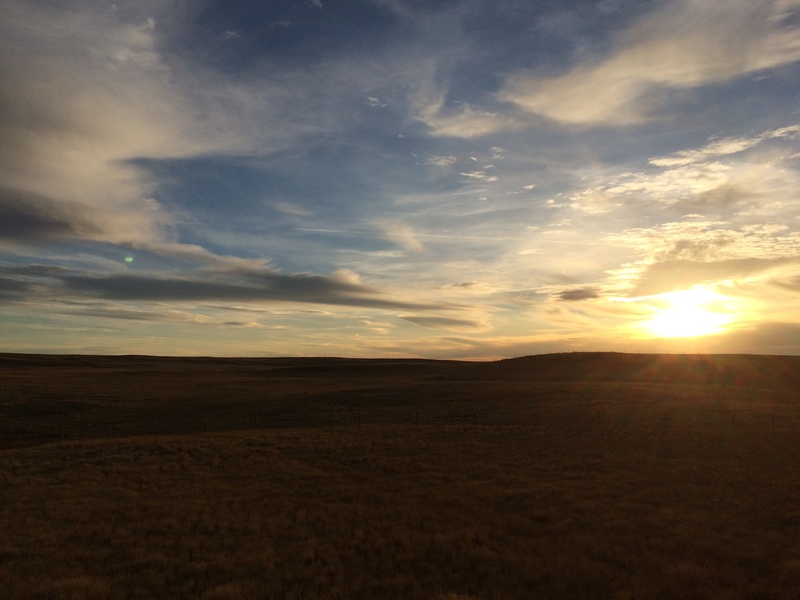 Grasslands National Park is Canada’s only park representing mixed-grass prairie, and efforts to preserve this landscape were launched 50 years ago by conservationists and local land owners. Canadian prairie – mixed-grass or otherwise – has largely been converted into agricultural or developed land. In Saskatchewan, mixed-grass prairie makes up about 13% of the province, and about half of that has been cultivated (Saskatchewan Environment and Resource Management, 1998). I feel extremely fortunate to work in such a rare and beautiful landscape along with other people who share my passion for the prairies. During the spring and summer field season, I am posted in the East Block of the park, a particularly remote and sparsely populated area of Saskatchewan. The horizon is wide and largely uninterrupted; however, severe weather systems still manage to sneak up on me in an instant. 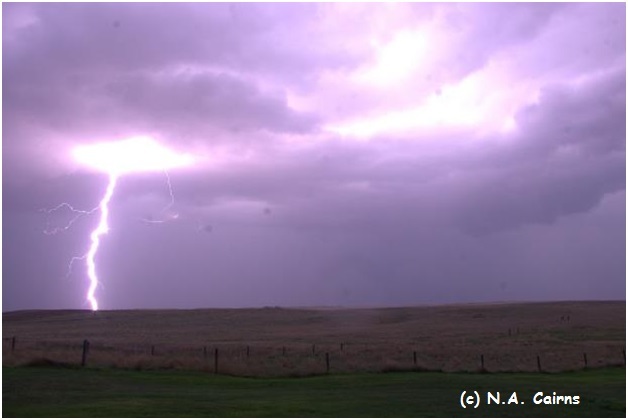 There is spectacular storm viewing in East Block; however, that is not the only upside to storms – the thunderstorm activity at the end of April and beginning of June in our last field season in East Block brought up plains spadefoot toads. 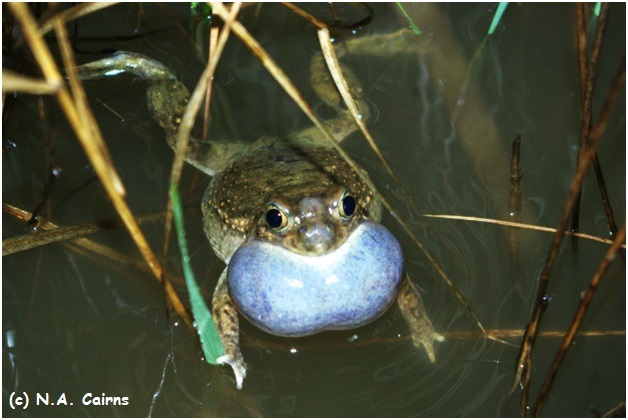 Spadefoot toads aren’t actually toads or frogs – in fact, they’re in their own suborder. Check out the hind foot (pictured above): see the black protrusion? That is the spade! These toads are excellent diggers, and spend most of their life underground. 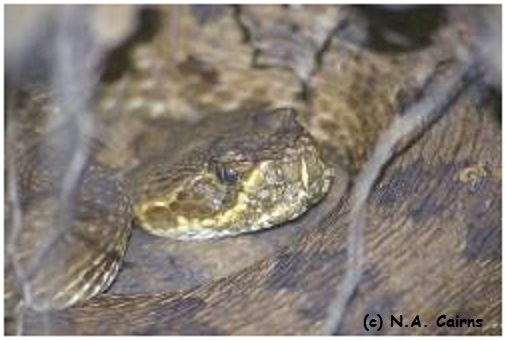 This means they are not dependent on permanent waterbodies: in fact, they are dry-land specialists. Spadefoots are particularly tied to thunderstorms, emerging only after those really big storms to breed, possibly drawn out by the rumble of the thunder. In dry years, they may not emerge at all! 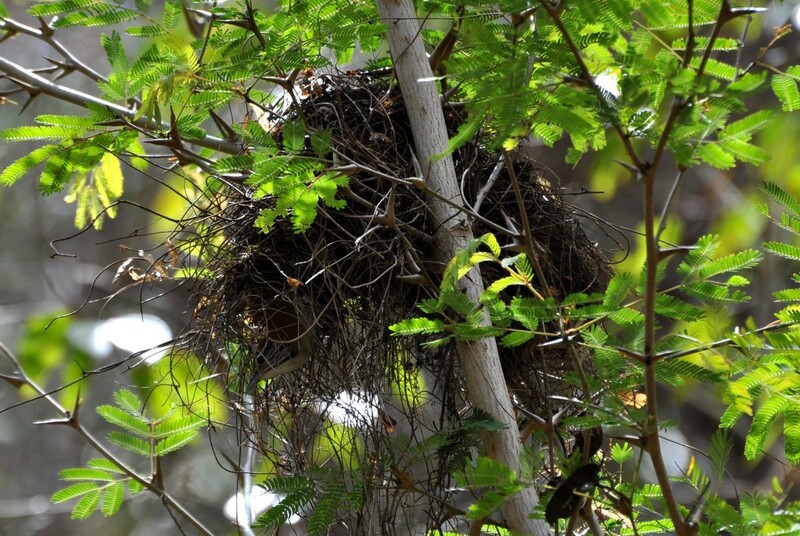 We feel pretty lucky to have seen and heard these spadefoots breeding. We would wait up until after dark to hear them calling, and would wade out into the ankle-deep pools to find them. During our last field season, it continued to be rainy well into June, and we were able to observe the tadpoles’ progress in nearby ditches, ponds and other shallow, water-filled depressions. Come August, as the landscape was drying up, the last clutches that had not yet metamorphosed were surviving in puddles of moisture collecting in cow hoof prints (neat, eh?). Spadefoots are one of the fastest metamorphosing “frogs” out there! In good conditions, they take only two weeks to go from egg to adult form, which is important considering they use such ephemeral, shallow pools. 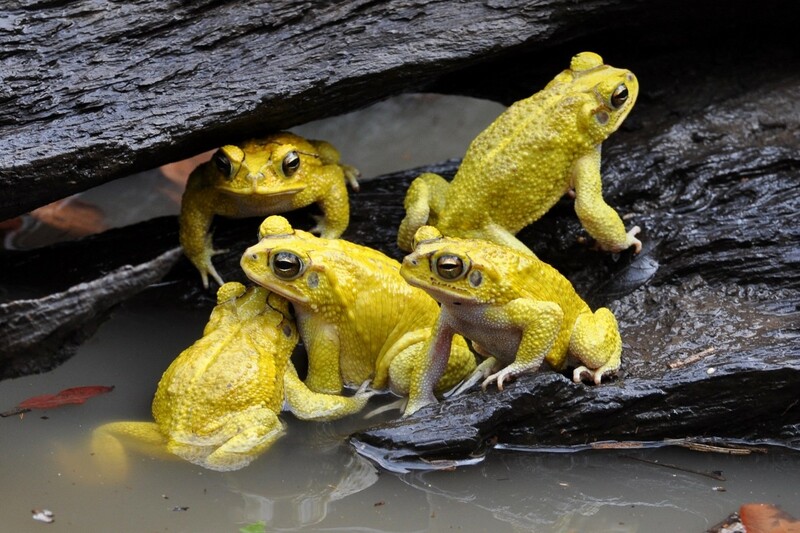 If the water starts drying up early, the algae-eating tadpoles turn cannibalistic, thereby achieving both more elbow space in the disappearing puddle as well as additional protein (which presumably helps them metamorphose faster). Sure enough, in the most crowded puddles you could differentiate vegetarians from carnivores by both jaw structure and size – both were a lot beefier on the cannibals! Lekking grouse are another fun springtime sighting. 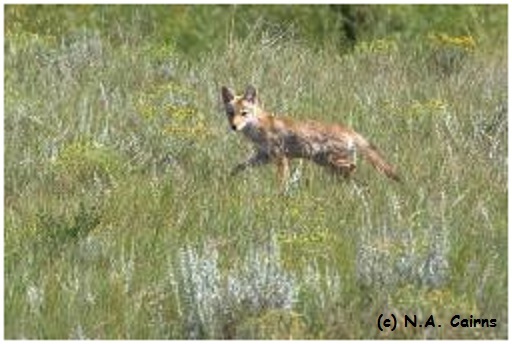 The park is home to both the endangered sage grouse, and the sharp-tailed grouse. 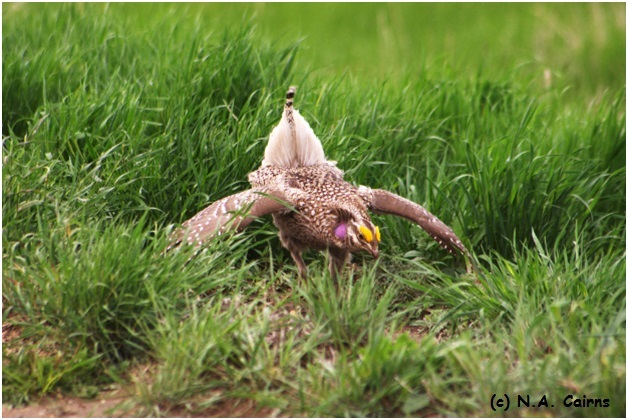 Sharp-tailed grouse are a lot easier to find, as they occur across their range in greater numbers. 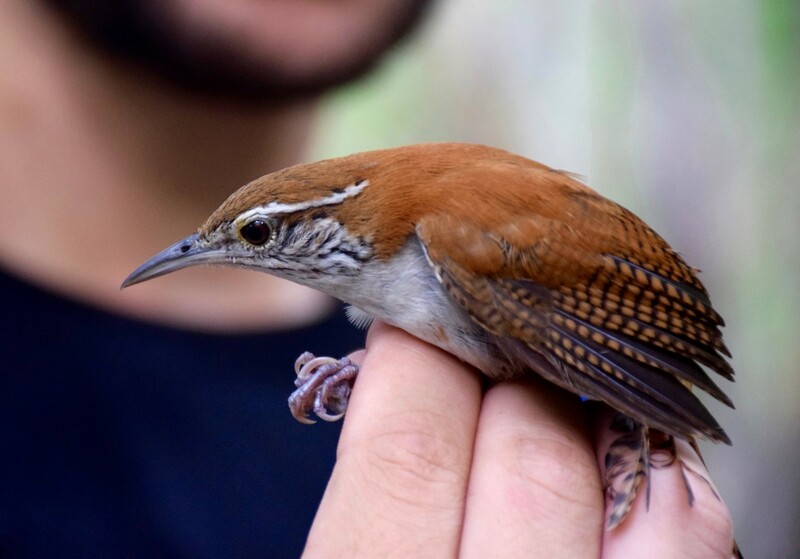 Their name comes from their tail shape, which tapers to a sharp point thanks to elongated central tail feathers. Like many grouse, male sharp-tailed grouse gather in groups on specially selected dancing grounds called leks. On the leks, the males puff up special air sacs, flair up colourful combs above their eyes and do a noisy and extremely entertaining dance. Females watch from the sidelines and select only the most deserving male specimen (usually only a couple get any of the action from what I’ve been able to observe). Every year, I get to watch these very interesting birds at several dancing grounds throughout the park. They dance the hardest in the wee hours of the morning, but will sometimes perform an encore in the evenings near sundown. 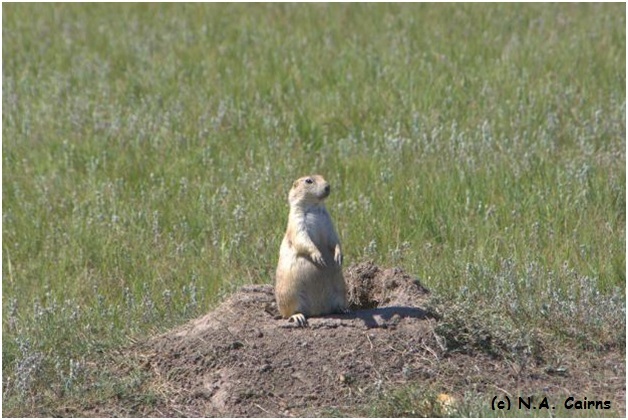 Black-tailed prairie dog surveys the landscape. When I get called over to the West Block of the park, the black-tailed prairie dog is a dependable wildlife sighting. These critters live in small clusters of family groups within a larger colony, which can be quite extensive. They create habitat and foraging areas for many other species, as well as form a reliable source of food for many predators. 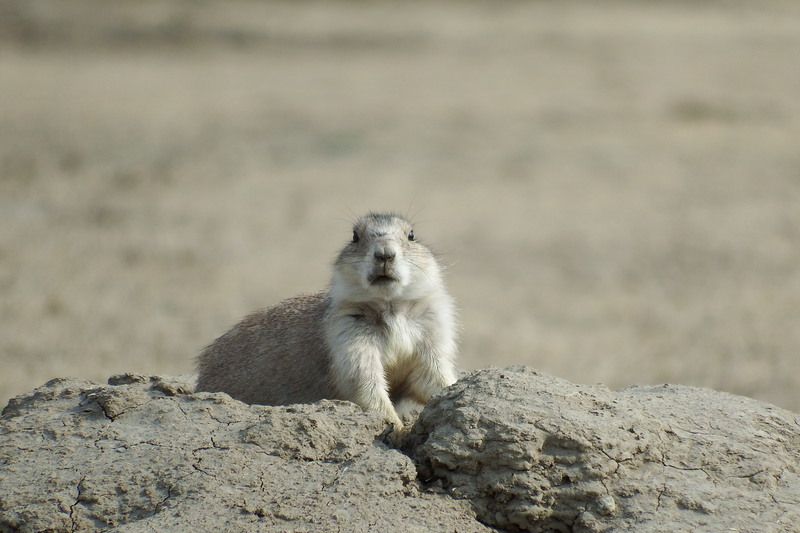 Burrowing owls, black-footed ferrets, prairie rattlesnakes, black widows and tiger salamanders are examples of some of the very interesting fauna you can find taking shelter in a prairie dog burrow. Bison and other grazers are often found near or on prairie dog colonies, whether attracted there by the new green shoots of a lawn kept well-grazed by prairie dogs, or by the dependable alarm system that results from having so many sets of eyes peeled for predators. If I sit hidden among the hills surrounding any one of our colonies for any length of time, I often see owls, hawks, golden eagles, foxes and coyotes swooping over the colony or skulking by, looking to catch a prairie dog off guard. Sometimes I am lucky enough to see a badger, which is always interesting because of their amazing digging skills – they will excavate a prairie dog if need be; you can see the evidence of their diggings if you walk around a colony. Better yet are the things that happen when no one is watching. We set up remote cameras on prairie dog colonies which monitor several handy things, for example presence/absence of burrowing owls and ferrets and emergence of prairie dogs and the associated temperature and date. However, we capture many additional images, such as predation events, interesting intra- and interspecies interactions, and animals looking into the camera! 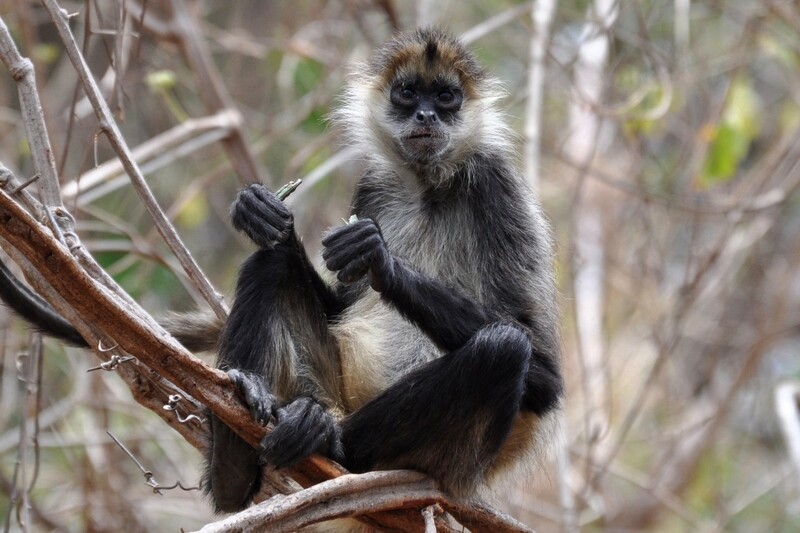 But when working on a monitoring project in the more remote areas of the park, the rarest sighting can be other people. When I prepare for fieldwork, I have to plan, plan, plan because it’s an open landscape, devoid of people and services, exposed to the elements – and it is a loooong way back home. Packing involves collecting back-ups of all equipment, plenty of food and water, first aid supplies, navigation and communication tools, clothing for all weather, and emergency shelter, and then filing a detailed plan of where I’m going and when I’ll be back with several people. It’s also essential to have a plan (and back-up plan) for which route I am going to use for access and how – it’s usually not a matter of driving to the field site; most field sites are remote. 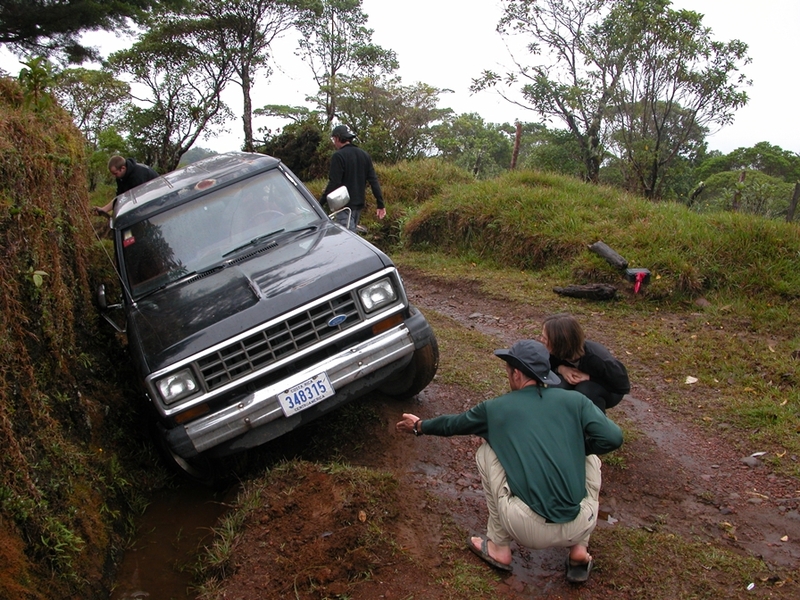 If a site is accessible by vehicle, there are river crossings, washouts and rough terrain to navigate. Above all, I have to watch the weather: checking weather before leaving is key, but even more important is watching the weather while I’m in the field. It’s easy to forget to look up when you are doing vegetation surveys or looking for small animals in the grass, which can lead to being stuck in the field. Working in the park is both a pleasure and a challenge, providing plenty of opportunity for fieldwork as well as a lot of deskwork. I love this beautiful place, and encourage everyone to come explore. 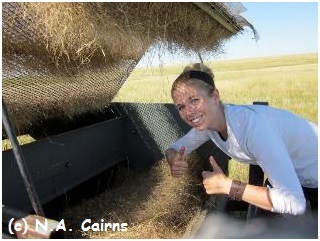 Krista has worked for Grasslands National Park in various capacities since 2008, contributing to a variety of projects, including species at risk monitoring, wildlife management, prairie restoration and invasive species control. Occasionally, she also has the pleasure of working with the public, through volunteer programs, guided tours or educational programs.